Structurally sound masonry is vital for good chimney health, after all, it’s what keeps the chimney standing upright. 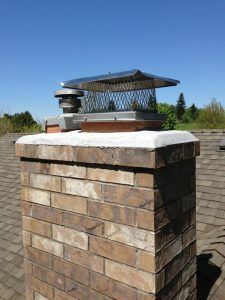 With our many years of experience and practice cleaning and maintaining chimneys, we are also highly skilled at masonry for chimney construction, repair, replacement, and even other masonry projects. That’s because many of our clients have found that our artisan level skills are equally amazing on the ground, so we help them with custom brick and stone projects around their homes and commercial properties. Unfortunately, even brickwork that is well protected from water will eventually break down from old age and will need masonry repair. 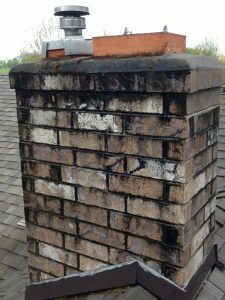 Water damage to masonry chimneys is usually a slow, subtle process. The problem is often not evident until it has become quite serious. Chimcare offers important masonry repair and maintenance services, including tuck-pointing and waterproofing. We don’t just do chimney masonry at Chimcare! Our skilled workers are also exceptional at building fireplaces and other masonry special projects including patios, retaining walls, walkways, lampposts, mailboxes, and more!